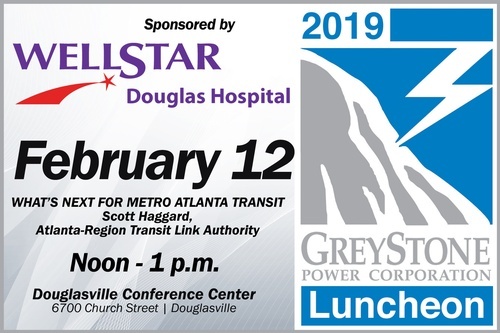 The GreyStone Power Luncheons are held at the Douglasville Downtown Conference Center (January – July) and The Centre at Arbor Connection (August - December). On average, over 150 community and business leaders attend this monthly event, which features a keynote speaker and catered lunch. A $20 fee is charged to members and registration is required. $30 for non-members. A walk-in fee will be charged to any attendee that registers after the registration deadline of $30.